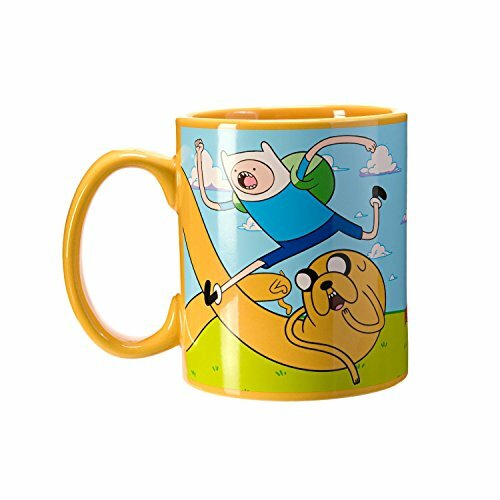 Pour your rise and shine juice into this Adventure Time mug, featuring the ever stretchy Jake and his human, Finn. Do you see how Jake has stretched himself to make a snazzy handle for the mug? Yup, he sure has! For some reason these mugs came without handles, but Jake fixed them for us. Good dog! If you have any questions about this product by JUST FUNKY, contact us by completing and submitting the form below. If you are looking for a specif part number, please include it with your message.